If you’re looking for a simple, yet subtly complex luxury timepiece for yourself or a loved one, this Ballon Bleu de Cartier small ladies’ watch is worth a look, and a double take. At first glance one sees the beautiful curved lines of this gold-toned watch, then you see the difference that really makes it pop. The sapphire-inset crown is protected by an arch of rose-toned gold, which is mirrored by a slight distortion of the silver face at 3 o’clock. This symmetrical asymmetry is pleasing to the eye and is just one of the fine details built into the watch. The blued-steel hands also tie in the sapphire cabochon, and both the face and back of the watch are slightly domed to expand on t he curved motifs. The watch is quite simple in its functionality, with no date or extra dials. This lends a refreshingly clean look to the face. If you are enchanted by the style but need a date function, consider the Ballon Bleu de Cartier W6900651, which is larger (42mm diameter case) and has a date indicator where the crown indents the face. There is also a medium model (36.6 mm diameter case) W6900456. These options will cost you considerably more than the small model W6900256, which is available for $8355-$9400. Pros: The unique shape and style of this watch is sure to catch people’s eye, and the attention to detail and quality will keep you looking at it with pleasure. Silver and gold tones let you mix and match with other jewelry as you wish. Swiss made movement will keep you on time while Ballon Bleu keeps you in style. Cons: Beware of cheap imitations. 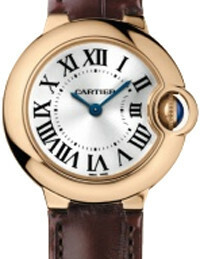 You want to purchase the real deal to be assured of the excellent Cartier quality. Though the case is water-resistant, I daresay the alligator leather strap is not. If you’re looking for bells or whistles you’ll need to look elsewhere. This watch just tells time, but does so very elegantly. 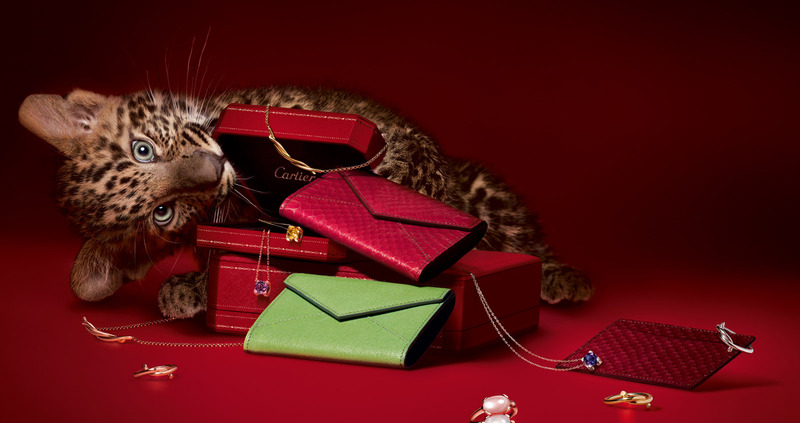 If you are prepared to move away, just a bit, from the proverbial gold watch, the Ballon Bleu de Cartier is definitely a step in a different direction.